Each year AGC Colorado hosts the Industry Gala & ACE Awards, gathering general contractors, specialty contractors, architects, owners, and consultants together for a night of networking and an awesome dinner. Of course, the highlight of the evening is the award ceremony when everyone is on the edge of their seats awaiting the highly-anticipated announcement of who will take home the coveted AGC ACE Award in each category. This year we were ecstatic to hear our name and Aspen Valley Hospital Phase 3 project broadcast as the winner of this year’s ACE Award in the General Contractor $40M – $70M category! Read on to learn more about this outstanding project! 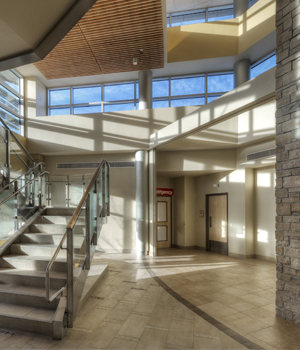 As part of our long-standing relationship with Aspen Valley Hospital, Haselden recently completed Phase 3 of Aspen Valley Hospital which consisted of a two-story addition with basement, accommodating new facilities for Emergency, Diagnostic Imaging, Surgery/Preoperative Services, and Ancillary Support Services. In addition, the scope of the project included a new main entrance and 2-story lobby space, and a rooftop helipad with supporting elevator and stairwell. The new construction area totaled approximately 57,000 SF with renovation to existing/adjacent areas at approximately 20,000 SF. times the normal amount for an average building. Additionally, snow loads for the Aspen area are increased from an average of 30lbs per SF to a whopping 75lbs per SF. Adding to the complexity, the design located all of the stair cores on the outside of the building footprint, requiring many beams to be oversized in order to handle the added load requirements. The main obstacle on this project, however, was working in an active healthcare facility with multiple end-users to take into consideration. 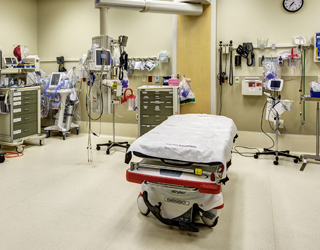 Because of the different spaces we focused on for multiple departments, we frequently needed to be flexible to accommodate last minute medical procedures, as well as requests to change designs in certain spaces. 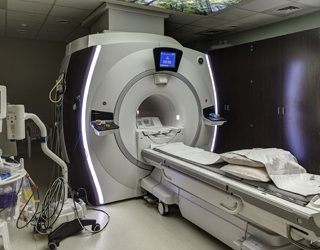 To be sensitive to the health, safety, and comfort of the patients, this meant remaining cognizant of vibration issues and noise/dust issues, which sometimes led to an unscheduled shut-down of a portion of the site. To make up the time lost due to these delays, the team brainstormed with the owner to determine how to combine the sequencing of two phases into one. Our teams also worked nights and weekends (including obtaining special permission to work Sundays) to further make up the time lost due to the scheduling of critical surgeries. considerable amount of money. The cutting edge medical equipment necessitated that we learn new standards for ventilation, plumbing, power, and infrastructure. This was another aspect of the project that required and led to increased team cooperation; we worked directly with the owner’s vendors to ensure the rough-ins were up-to-date, because what was on the original contract drawings—which had been done a year prior—didn’t take into account the new equipment that was ultimately selected. To ensure nothing was missed, we created an equipment requirement matrix to manage these pieces and their specifications. It was through this Best Practice exercise that we discovered steel needed to be added to support one of the new pieces. Though it was more work upfront, everyone on the team agreed that it saved an extraordinary amount of time when it came to close-out and punchlist, as well as avoiding rework. As with every Haselden project, safety at AVH was a priority. Each person on site went through a Colorado Bureau of Investigation background check before coming onto the project. Twice a month, Haselden shut down the job to hold a site-wide safety meeting for the entire staff—including all field personal—to go over safety issues and ideas. The meetings were held in English and translated (in real time) into Spanish. In addition to the weekly safety walks conducted by the project’s site safety manager, the project manager, superintendent, and project engineer also did a separate walk each week for the sole purpose of reviewing safety items. To further promote safety, the project manager created an atmosphere of empowerment and accountability for all management team members—including interns—allowing them to issue an official written subcontract violation if they witnessed a subcontractor not abiding by a safety rule. This reinforced on site that Haselden took safety very seriously and wouldn’t let even small infractions pass. Infection control is an obvious safety consideration when working at a healthcare facility. Because we were working on several different areas, there were technically several different levels of ICRA (Infection Control Risk Assessment) measurements required to be in place. In order to avoid confusion, and to ensure the highest level of safety possible, Haselden voluntarily committed to Class IV ICRA requirements throughout all areas of the project. We trained our subcontractors only in Class IV ICRA and all team members attended ICRA orientation, with an interpreter available for Spanish speakers. 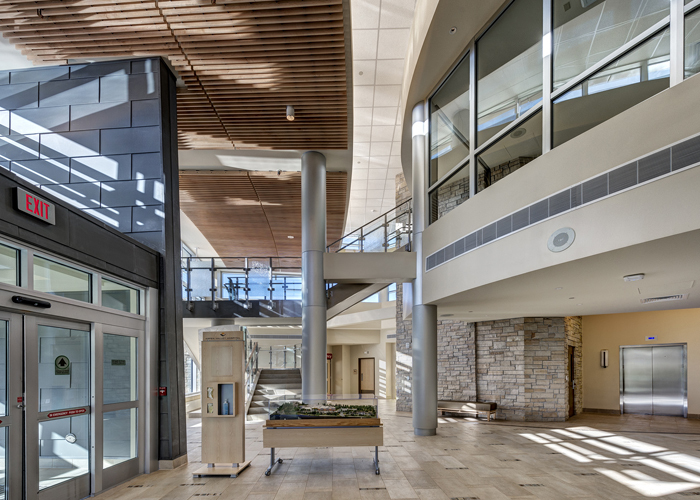 This project elevated the level of medical care in Aspen from an aging 1970s facility to a cutting edge medical center that’s now far more competitive with nearby Valley View Hospital. 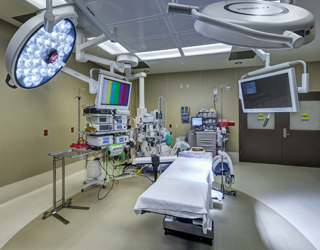 Aspen Valley Hospital takes pride in – even advertises on local public radio – that they have one of the lowest infection rates, including during construction. 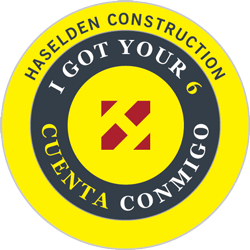 Haselden has been building there for over a decade, so we’re proud to say that we are a part of that success. Haselden has truly become part of the Aspen Valley Hospital family and offers a value that goes far beyond that of a typical general contractor.